Hello my sweet little Angels. I know it's been quite a while since I wrote a blog post, but I have been very busy with other things and I haven't really had any inspiration to write and let's just face it, you don't wanna hear about my everyday life. This morning I woke up and I finally had inspiration to do a new makeup look that I haven't done before, so I hope you will enjoy this new blog post. Excuse my eyebrows, they are hopeless at the moment and there's nothing I can do with them for now. This look is great for a party or for everyday life if you are bold enough to wear this, I know I wouldn't have a problem with that. 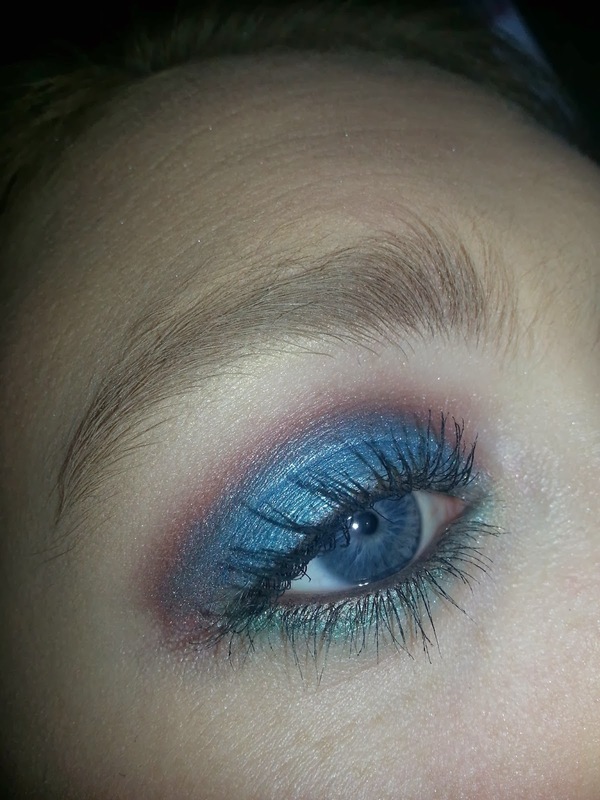 I used a soft brown in the crease, on top of that I put a rusty shadow to warm it up even more. 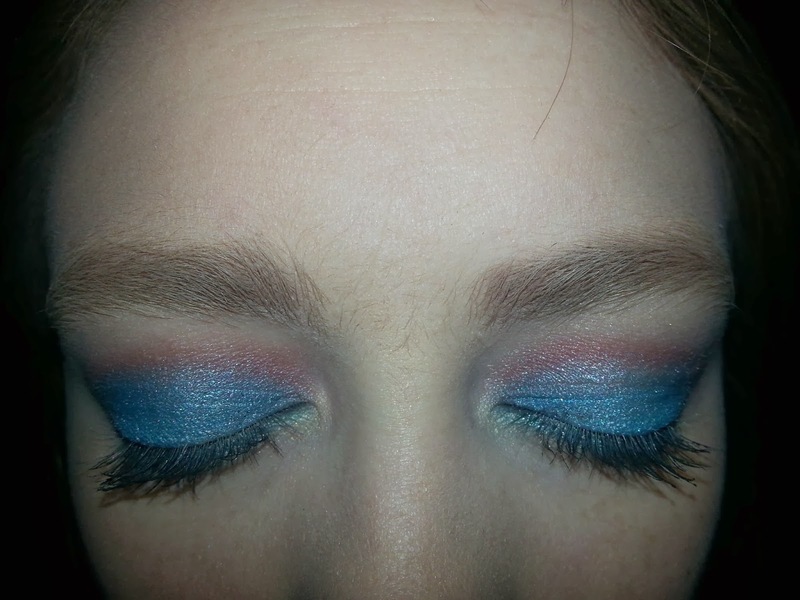 For the lid I used this bright blue eyeshadow that I haven't used before in any of my looks. 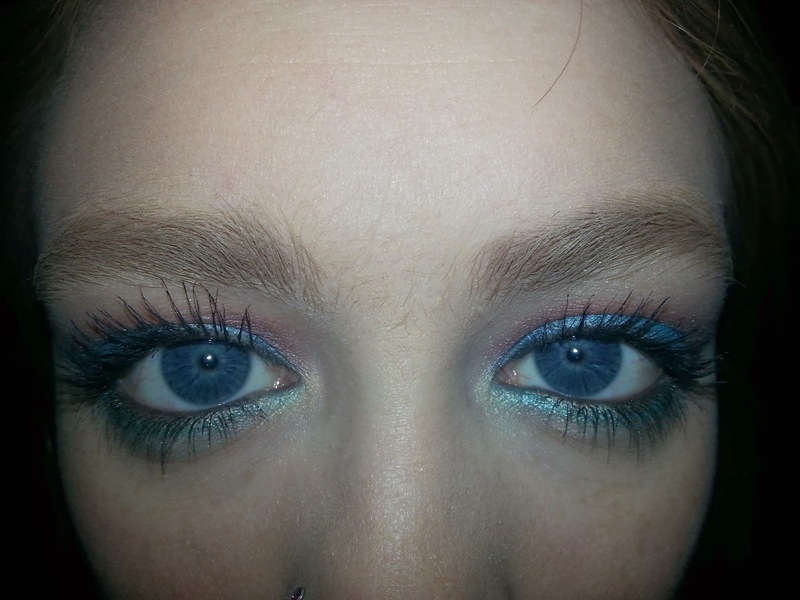 On the lower lash line I simply used a lovely soft green color that went really well together with the rest of the colors that were used to create this look. I hope you enjoyed this new blog post, before I end this post I just want to take up two more mintues of your time to ask you to check out my cousins website. Thank you so much for reading and for following my blog. It means a lot to me, please comment and follow me on Instagram and follow my little devil cat on Instagram too. 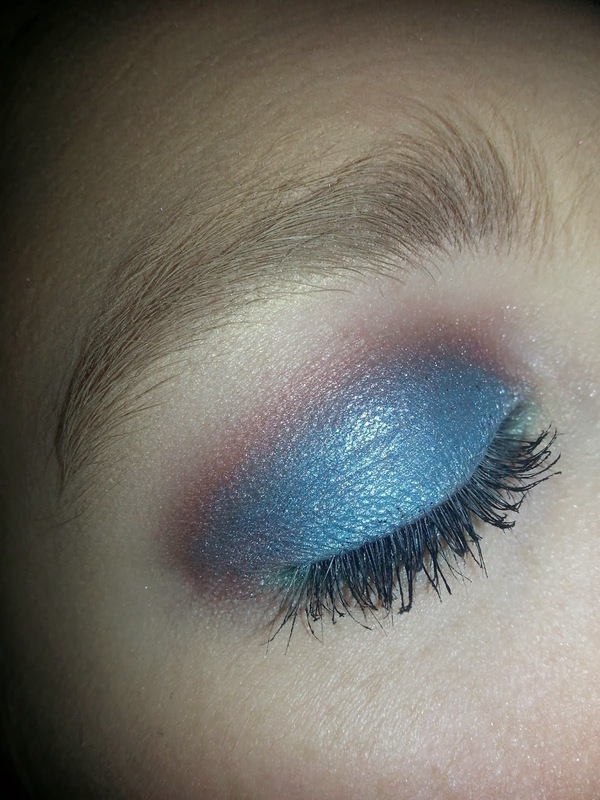 -Thought's on my new makeup look?